Elena Chambers performs in "Drop It Like It’s Pops" on April 2nd, 2017. 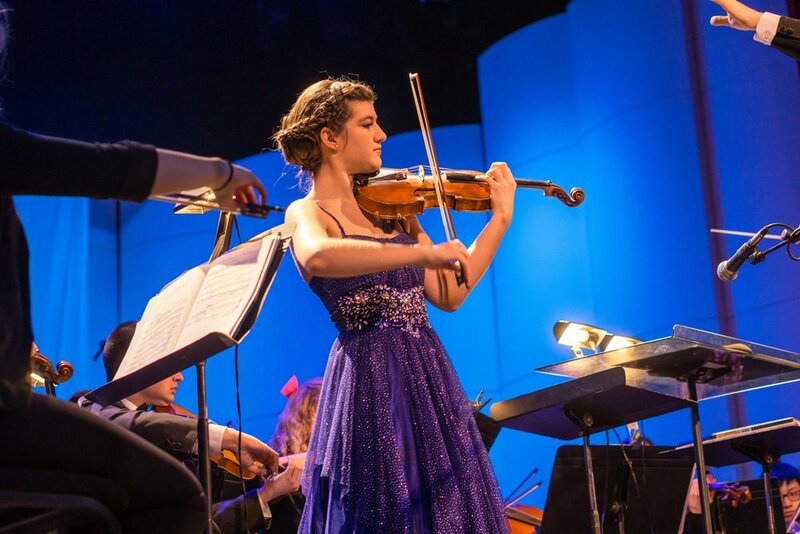 Every year, the Michigan Pops Orchestra coordinates with local high schools to hold a concerto competition. The winner will be invited to perform with the orchestra during the winter concert on Saturday, April 6th. Congratulations to this year’s competition winner: Eugenia Cho, who will be performing Mendelssohn Concerto No. 1 in E Minor for violin. Thanks to everyone who auditioned this year! Come to our spring concert to see our concerto winner perform with the orchestra. If you missed the deadline this year, make sure to keep an eye out for next year’s competition. Please contact Outreach Director, Jessica Wu (jlwu@umich.edu) with any questions regarding the competition and plans for next year! Thank you for your interest!